Tequila and lime at the same time! What's a fiesta without a margarita? Help your customers get down to the business of serious partying with the South of the Border Drink Ticket. 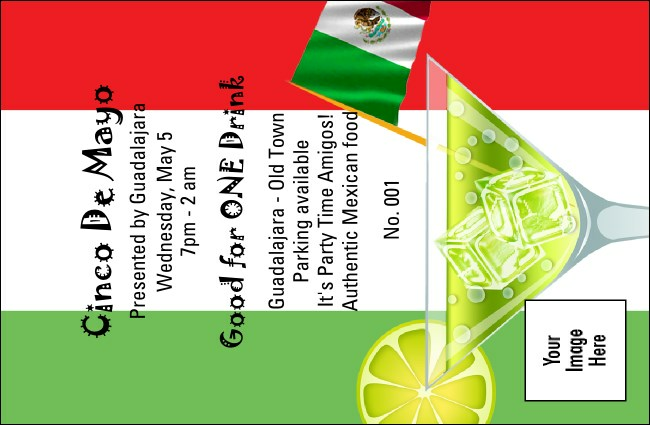 Features a delicious image of an ice cold margarita, decorated with the Mexican flag. Ready to wet your whistle? Just fill out the template below and TicketPrinting.com does the rest.